Our experience in speedskating influenced the design of a completely new product. 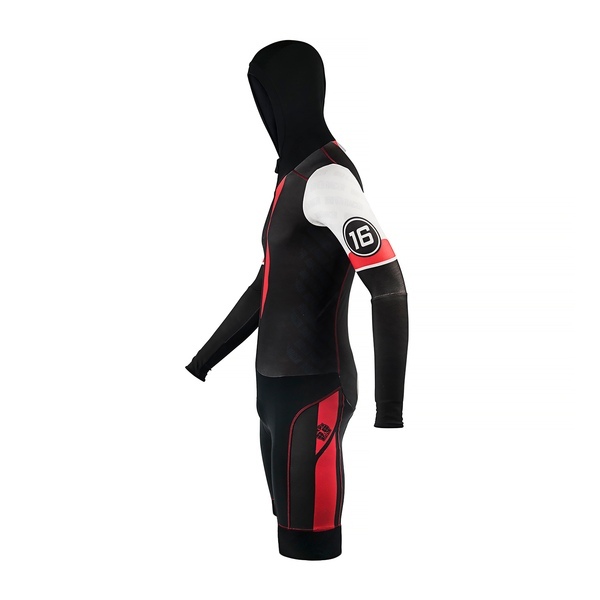 Where most of the suits we make are dedicated to speed, this suit is specifically made for harsh winter circumstances and warming ups. You don't see it that often during the race and it's a relatively unknown product, but we really see potential in it, especially combined with a pair of legwarmers. 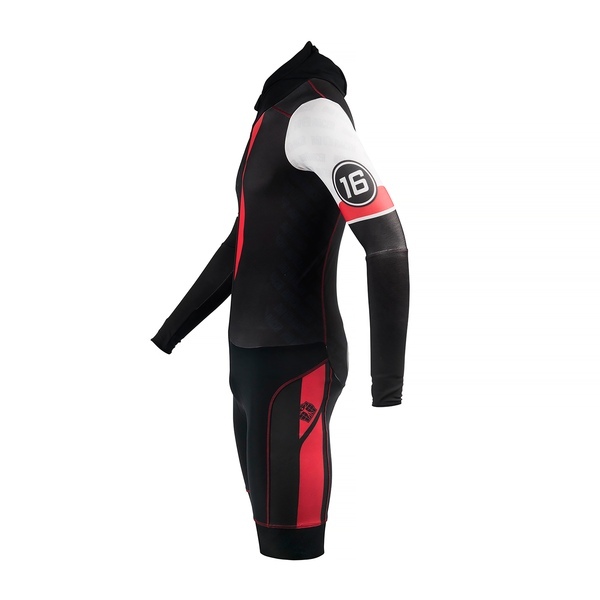 You could even use it as a full on, integrated cold weather training outfit on the road.